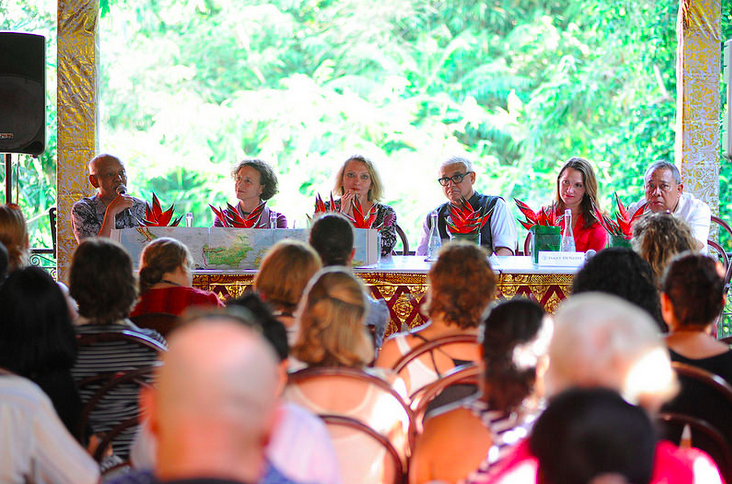 The Asia Literary Review was dismayed to hear from the Ubud Writers & Readers Festival's director that a number of events at the 2015 Festival have had to be cancelled under political coersion. The ALR admires and supports the work of the Festival in celebrating Indonesian, regional and international writers. We share the festival's belief that the pen is mightier than the sword. Among the cancelled events is the launch of Eliza Vitri Handayani's novel, From Now On Everything WIll be Different (Vagabond Press, 2015). We recently published an extract from the book - it's available on our website here. Prodita Sabarini's 'Let Bygones Be Bygones', published jointly by the ALR and Griffith Review in their current issues, directly addresses the tumultuous events of 1965 that the Indonesian government seems bent on censoring rather than tackling openly. In support of the festival and its participants, we invite you to read these two pieces and to share your responses with us and others.